The Doctor of Nursing Practice is the highest degree available for clinical nursing education. It is used by degree holders to progress their clinical careers, move into advanced practice nursing, or enter roles in leadership, administration and policy-making. In a 2004 statement, the American Association of Colleges of Nursing (AACN) declared the DNP as the preferred terminal degree for clinical nursing education. It supplants the Master of Science in Nursing (MSN) as the primary desired graduate degree for entry into advanced practice nursing. The push came amid calls to increase the profile of the degree: Research from the Institute of Medicine in 2011 showed that, while 13% of nurses held a graduate degree, less than 1% held a doctoral degree. By 2015, an AACN survey found enrollment in practice-focused doctoral programs had increased 26.2%. In the same survey, the AACN found 269 schools offered a DNP program in 2014, an increase from 247 the year before. The Doctor of Nursing Practice is one of two terminal degrees attainable in the nursing field, the other being the Doctor of Philosophy of Nursing. The main difference between the two is where the degree can be applied. The DNP, for instance, is geared toward practical use in the clinical side of nursing, whereas the Ph.D. is used for research and teaching. Who might choose to earn a DNP? Being the terminal degree for advanced nursing practice, the DNP is designed for those with clinical career ambitions that stretch beyond general administration of patient care and organization into specialized responsibilities like high-level accounting for outcomes, policy-making, advocacy, and spearheading improvement initiatives across the practice. The DNP is for nurses who want to pursue the most advanced positions of clinical practice. 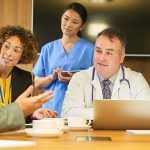 They often have the highest aspirations for C-suite execution of policy, leadership responsibilities, care improvement, outcome analyzation, and critical thinking to pace the profession with the needs of the patient population. The degree is most often pursued by master’s holders, but opportunities in baccalaureate-to-doctoral tracks do exist. The DNP, as the terminal degree, requires extensive coursework and clinical hours, but it can lead to great opportunities at all levels of nursing and can serve as a pathway toward the profession’s highest echelons. How do I earn a DNP?Completion of a baccalaureate and master’s degree is required for entry into a DNP program. Most programs prefer candidates to hold a nursing degree, but candidates from other fields are often adjudged on an individual basis. How long does it take?DNP programs entered after earning a master’s degree often take two years, while it might take three to four years for students who jump in straight from their bachelor’s. A 2016 AACN survey found DNP programs typically take 2.6 years on average. Additionally, other programs offer advanced tracks from a lesser degree to a higher one that can be completed in condensed time. There are four APRN positions with specialty certifications to which a DNP can be applied: Nurse Practitioner, Certified Nurse Midwife, Certified Registered Nurse Anesthetist and Clinical Nurse Specialist. A DNP is often needed, or desired, for executive nursing positions. Further, the trend of upward enrollment and more programs offering the degree, as well as industry sentiment, could increasingly make the degree particularly attractive in APRN settings. Holders of a DNP are supremely qualified for a variety of high-level nursing roles, and they often stand out from competing job applicants that do not possess the doctoral degree. Nurse practitioner is ranked as the No. 2 best job for the future by Kiplinger. An expected 25.7% increase in job openings from 2015-2025 make the degree an especially noteworthy asset for those looking to achieve high-level nursing careers. Future policy-makers and shapers of the evolving world of health care and nursing will likely be holders of the terminal degree who studied the type of critical thinking and action planning needed to approach the problem. The American Association of Colleges of Nursing (AANC) operates as the primary accrediting entity through the Commission on Collegiate Nursing Education (CCNE), which grants accreditation to satisfactory programs. DNP faculty should have extensive education and practice backgrounds and should be proficient in any specialty you are interested in. If you choose to study online, be sure to research what lines of communication exist between students and faculty. DNP programs can be taken online, on campus, or in a hybrid structure that blends the two. Be sure that the program’s offerings will be conducive to your best learning environment and work status. When considering cost of the program, always be sure to balance tuition with personal financial contributions, grants, scholarships, and student debt. Most programs use statistics on graduation and employment of graduates as marketing material, so public information on job placement is often readily available. While rankings aren’t the most important metric to consider, they’re worth keeping in mind as you search for a DNP program. Consult program rankings, often issued yearly by credible organizations, to identify regional and national leaders. Where do DNP-level APRNs work? Enrollment increased by 3,000 students from 2014 to 2015, while graduation increased by more than 1,000 in the same timespan. To put this into context, a Georgetown University report from 2015 showed there were only 391 DNP graduates in 1998 and still just 512 by 2006. Georgetown recorded 2011 graduation numbers as high as 2,000. This exponential growth is the clearest demonstration of the swelling demand for the degree, thanks to the emphasis placed on it by nursing advocacy groups and higher education at large. Whether your desired program has a capstone requirement. These considerations can dramatically affect the length of your program, as well as what you get out of the program. Be sure to choose a DNP program that aligns with your schedule and your goals. Standard coursework refers to the classes that constitute the bulk of DNP foundational learning, often present across all programs in some form. Electives will help you hone your abilities and education in the specialization of your choice, or they might supplement your knowledge in tracks that interest you but are outside your specialization. Critical analysis of practice data, drawing from basic scientific nursing underpinnings, as well as other areas of knowledge. Taking on increasingly complex roles of leadership that teach reflective thinking and interprofessional collaboration. For advanced practice, nurses must take on full accountability, which is covered in courses of this nature. Builds on the framework of organization to affect consensus building, partnership crafting, risk management, and facility and delivery system development. Evaluating and investigating outcomes, then designing initiatives based on evidence and analysis. These courses scrutinize the factors that lead to development, dissemination, and advocacy of health policies. They also touch on ethics. As for elective courses, they are much more likely to vary institution to institution, but are generally offered, and encouraged, across the country. Many programs will require the completion of a small number of credit hours in electives. Having firsthand experience with real-world applications of studies is integral to a complete education and is particularly essential for nurses seeking a Doctor of Nursing Practice (DNP). This quality is important for responsibilities in advanced practice beyond care administration, like policy-making, informatics, and systems evaluation, because of the implications for patient, nurse, and provider that exist along the spectrum. Residency: For some programs, there is no clear line of demarcation between clinical hours and a residency, especially those programs whose final project is a residency. Residencies are set apart by their longer duration of time, their focus or subspecialty, and an expectation that the student will demonstrate their proficiency in each competency required for a DNP. Help from the school: Programs will typically advise students on opportunities, as well as alert them to new ones. While the residency takes place outside of the classroom, each placement needs final approval from the program to ensure it meets standards and program-specific needs. Specialty: Students often participate in residencies that include experiential learning within their subsection, whereas clinical practice hours may be more generally focused. While there are two central modes of course delivery — online and on-campus — many programs blend elements of both to come up with a hybrid construct that allows for flexibility while also providing necessary mentorship. Conduct a comprehensive and systematic assessment of health and illness parameters in complex situations, incorporating diverse and culturally sensitive approaches. Design, implement, and evaluate therapeutic interventions based on nursing science and other sciences. Develop and sustain therapeutic relationships and partnerships with patients (individual, family, or group) and other professionals to facilitate optimal care and patient outcomes. Demonstrate advanced levels of clinical judgment, systems thinking, and accountability in designing, delivering, and evaluating evidence-based care to improve patient outcomes. Guide, mentor, and support other nurses to achieve excellence in nursing practice. Educate and guide individuals and groups through complex health and situational transitions. Use conceptual and analytical skills in evaluating the links among practice, organizational, population, fiscal, and policy issues. For an advanced degree like a DNP, completing coursework and accruing clinical hours are not the only requirements for conferral. Nearly every program ends with a high-level, scholarly project that encompasses and demonstrates not only all the competencies APRNs learn in the program, but also often relates to a personal subject of interest within their specialization. 71.4% of nurses who earned a DNP ended their program with a capstone project. There is considerable latitude in what qualifies as a capstone, but such projects are generally long-term investigations of a question. These courses involve recording and analyzing that particular subject, topic, phenomena, or specialty, and then synthesizing research and experiences into mastery of practical application. While clinical hours or residencies may occur outside of a final project, 31.4% of DNP graduates indicated their end product included hours of practice in a residency. For 25.1% of nurses, their final project was to write a scholarly article for publication. Just 14.9% APRNs with a DNP said a thesis or dissertation was their final project, though the report noted an upward trend in this area. Regarding residencies, such placements as part of a final DNP project usually cover some 400-600 hours in a clinical setting. These hours can then be applied toward the overall requirement of hours students must complete. Besides practice learning, these residencies are designed to promote engagement with current leaders while also further refining critical thinking and scholarly synthesis within a nurse’s professed special interest. While each program will set its admissions requirements based on its own criteria, many requirements are universal across all programs. No matter where you apply, you can expect to provide items like transcripts from previous degrees or coursework; standardized test scores; a personal statement or essay; letters of recommendation; and an overview of relevant work experience. In certain cases, some of these requirements may be waived. For more information about admissions, please visit our admissions requirements page. Registered Nurse or Advanced Registered Nurse Practitioner licensure within the U.S. There are a number of degrees available in nursing education at the baccalaureate, graduate and doctoral level. There is also a list of different licensures and certifications, some that can be awarded with associate degrees. 39% of nurses responding to an AMN Healthcare survey in 2015 stated an associate degree was their highest level of education. . These conferrals — including the Registered Nurse (RN) diploma and the Associate Degree in Nursing (ADN) — are often used as a career starter or stepping stone to four-year (and more) programs. 38% of nurses in the AMN Healthcare survey said their highest degree was a bachelor’s. The most common degree for undergraduates is the Bachelor of Science in Nursing (BSN), but other options include accelerated tracks for those with non-nursing degrees. 10% of nurses held a master’s in the AMN survey. Aside from post-master’s DNP programs, many “bridge” programs exist that place students on an accelerated track from this degree to a doctorate. 1% of AMN respondents said they held a doctoral degree. The terminal degree is the endpoint of nursing education and can either be achieved as a practice-focused DNP or research-heavy Doctor of Philosophy in Nursing (Ph.D.). This terminal degree branches off from the DNP in that nurses use the Ph.D. in research-focused, academic roles, rather than clinical practice. While also a terminal degree used in research-heavy positions in education, the DNS has been declining in popularity in favor of the Ph.D. Doctor of Nursing Practice (DNP) programs anywhere in the country must conform to a specific set of nationally set standards and codes that govern how programs operate, what they teach students, and what outcomes students can expect in recognized competencies. The CCNE is the primary accreditor of DNP programs. While it operates as an autonomous entity, the CCNE is an arm of the American Association of Colleges of Nursing. It has currently accredited 274 DNP programs across the country. The ACEN, by comparison, has accredited 13 DNP programs. Does your desired program comply with state authorizations? While an advantage of learning online is being able to take classes from a reputable program states away, there are compliance considerations to take into account. You must ensure that the program you want to attend can legally permit you as a student. There are certain states from which programs cannot accept students. It’s a good idea to consider the National Council for State Authorization Reciprocity Agreements (NC-SARA) when looking for an accredited program. States that participate in SARA agree to uniform standards the agency developed to ensure quality and consistency across interstate education. Currently, all but six states have entered reciprocity agreements: California, New York, Florida, Massachusetts, Connecticut and New Jersey. A list of institutions compliant with SARA. A map depicting each state’s status. There are more than 220,000 CNPs nationwide, according to the American Association of Nurse Practitioners, 96.2% of whom have a graduate degree. The overwhelming majority’s main focus is primary care (83.4%), but other areas of focus include family, adult, pediatric and women’s health. For nearly as long as humans have been around to catch diseases, injure themselves, or otherwise fail in faculties or abilities, there have been those caring for and mending them. But this care often was informal in nature, provided by family or religious groups. In fact, the nursing profession as we know it, despite the longevity of its concepts, has relatively modern roots. It was not until Florence Nightingale, often hailed as the progenitor of modern nursing and avowed reformer, revolutionized the concept of professional nursing while caring for English casualties in the Crimean War (1853-1856) that professional nursing as we recognize it came into existence. Besides instituting hygienic standards and improving care, which led to immediate decreases in mortality, Nightingale used her familiarity with statistics to evaluate outcomes, which then fueled her pursuit of further innovations. It is this application of knowledge outside scientific medicine to direct care improvements and advocate for them that connects the birth of modern nursing to the DNP. Modern nursing was further transformed during the American Civil War and after, a time in which schools were founded and nurses became a recognized part of the workforce. A survey of new graduates from baccalaureate and associate nursing programs published by the National Student Nurses’ Association found 57% of students had between $5,000 and $60,000 in student debt, underscoring the cost of a nursing education. As a means to pay for tuition, 68% of all respondents turned to financial aid/loans, while 43% applied for scholarships. Do I need a Master of Science in Nursing (MSN) degree to earn my DNP? Not necessarily. Some DNP programs may admit applicants with a Bachelor of Science in Nursing (BSN) degree. What is the difference between a Ph.D. program and a DNP program? What is the difference between a Master of Science in Nursing (MSN) and a DNP? What is the difference between a nurse practitioner (NP) and a Doctor of Nursing Practice (DNP)? What attributes should I look for in an online DNP program? Program Length: How long will it take to complete the degree? Is the program accredited by the Commission on Collegiate Nursing Education (CCNE)? Many graduate nursing programs are accredited, but it’s always good to double check. If the program is not accredited by the proper accrediting bodies it may lead to credentialing issues after graduation. What are the educational and work experience requirements of the program? Some programs may require a certain number of years or hours of experience before they admit you. Most, if not all, programs require students have at least a BSN degree from an accredited institution. And depending on the track you’re looking at, you may also be required to possess an MSN degree. You may also need to take an entrance exam, like the GRE, before you are considered for the program. Is financial aid available? Although they provide a great means of furthering your career, graduate programs can be expensive. Explore the options that each university offers to students for financial aid. Other means, like scholarships and grants, may also be available. How long will it take me to earn my DNP? Can I go part-time or full-time? Do I need clinical experience before entering a DNP program? Depending on the university where you wish to pursue your DNP degree, the admissions requirements for clinical experience may vary. For some programs, no experience is necessary, while others may require two to five years of experience before applying. Do I need to take the GRE for admittance into a DNP program? Can I continue to work while pursuing my DNP? Yes. Many universities now offer part-time online DNP programs so nurses can continue to work and gain the clinical experience they need, while also furthering their education and career opportunities. Will I earn a “doctor” title if I earn my DNP? How much of the program is online? Am I required to visit campus for any parts of the program? What prerequisites are there for a DNP? The admission requirements for different DNP programs will vary, but most if not all programs require students have a nursing degree prior to applying for their DNP. Whether you are in the BSN to DNP or MSN to DNP track will determine which degree you will need. GPA requirements (the average is around a 3.3), a resume, professional recommendations ,and current licensure are also common requirements for admission. Some programs may require previous experience in a clinical setting, with time spans ranging from one to three years. Standards set by the American Association of Colleges of Nursing (AACN) require that before a DNP degree is completed, individuals must complete a total of 1,000 post-baccalaureate clinical hours. Some programs will forgo previous experience, but those students will have to complete those 1,000 hours during their program. Other programs require previous experience to decrease the number of clinical experience hours that students will have to complete while in the DNP program. How many credit hours are required to complete an online DNP program? For post-baccalaureate DNP programs, credit hours can range from 70 to 90 credits depending on the specialty chosen. For post-master’s DNP programs, credit hours usually range from 30 to 40, which, like the post-baccalaureate programs, is dependent on the specialty of focus chosen. What will I learn while earning my DNP? Highlights the importance of evidence-based practices to improve patient care and clinical outcomes. DNPs should have a comprehensive understanding of nursing theory and how it relates to nursing practice. Emphasizes the need for key skills like understanding clinical guidelines, creating treatment plans for patients based on proven research, and evaluating the performance of patient and practice outcomes. Ensures that practitioners are accountable for patient care and safety. DNPs should know how to make informed decisions when it comes to organizational changes in health care delivery to patients as well as how to interact with government counterparts to shape health care policies. Understanding that technology is the future of health care is key for any DNP. Doctors of nursing practice should be able to participate in developing new health care technologies that ensure the safety and efficiency that is needed when caring for patients. DNPs should be able to identify problems within the health care system with regard to patient care, organizational procedures, and policies. Graduates must also be able to participate in legislation changes and the creation of new policies to improve these practical areas by acting as an advocate for patients and other nurses in the field. Acting as a leader is critical for the successful role as a DNP. Those in this role should be able to lead organizational change and collaborate with other nursing practitioners to develop and carry out different practice models and standards of care for patients. Those with a DNP degree should possess the ability to understand “epidemiological, biostatistical, occupational, and environmental information” that affects both individual patients and larger communities. Nursing professionals should also be able to discern how social, economic, and cultural trends shape population health. The main goal of a DNP should be to improve patient outcomes from any angle. The practitioner should have the ability to make informed decisions about patient care, understand complex health care systems, and mentor fellow nurses. How much of DNP curriculum is focused on research? What are some examples of courses I may take while in a DNP program? How does asynchronous and synchronous online learning impact curriculum? What different specializations are there for DNP programs? What is the Advanced Practice Nursing focus? What is the organizational focus? The aggregate/systems/organizational focus of DNP programs relates to the policy, administrative, and informatics side of clinical organizations. These individuals focus more on organizational change, leadership, and health care policy, rather than direct patient care. How many hours am I required to complete in my practicum? The number of hours required for your clinical experience practicum will vary depending on the program you choose, as well as your education and experience level upon entering the program. The AACN requires that all DNP graduates clock a total of 1,000 post-baccalaureate hours. For example, if you have your MSN degree and are looking into a MSN to DNP program, that program may require at least 500 hours of post-baccalaureate experience upon admission, so it may require you complete another 500 hours during your clinical experience practicum (for a total of 1,000 hours) to complete the program successfully. Can I complete my practice experience at my current workplace? Are the clinical practice requirements different for online programs? Can prior or current work experience be used in place of the clinical practice experience requirement? Do I have to find somewhere to complete my clinical experience by myself? Will a faculty or staff member help me locate a position? Do I have to take a certification test after I complete my DNP? How long is a BSN to DNP program? How many credit hours are BSN to DNP programs? Credit hours for BSN to DNP programs may vary from 70-90. How long is a MSN to DNP program? How many credit hours are MSN to DNP programs? Credit hours for MSN to DNP programs will vary depending on the program chosen, but the average ranges from 30-40. If it’s been more than five years since I’ve graduated with my MSN, are there courses that I will have to retake to be considered for admission? Some programs may require applicants retake courses like statistics if it has been more than five years since they’ve completed their MSN degree. When looking for DNP programs, you should consider the accreditation of the university, its nursing school, and the DNP degree program itself. The American Association of Colleges of Nursing (AACN) is the national accrediting body for DNP programs. What national accreditation should I look for when researching DNP programs? The Commission on Collegiate Nursing Education (CCNE) is the accrediting body for the American Association of Colleges of Nursing. 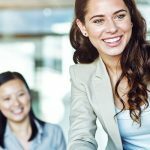 What career growth can I expect if I earn my DNP? 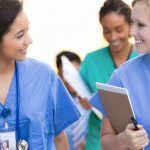 While it’s hard to pinpoint just how much your career may grow after you earn a DNP degree, the U.S. Bureau of Labor Statistics projects that the job outlook for advanced practice nurses will grow by 31% from 2014 to 2024, which is much faster than the average growth rate among all professions. As chronic conditions increase, demand grows for preventive care, and effects of health care legislation change the health care environment, the need for nurses, including those with advanced degrees, will continue to rise. What job titles could I hold as a DNP? There are many different avenues in which your career could grow once you’ve earned your DNP. How do career opportunities vary from state to state?